Court Reporters are the guardians of the record. The Louisiana Board of Examiners of Certified Shorthand Reporters is here to serve the interests of the citizens and legal community of the State of Louisiana. This website contains information regarding how to become a Certified Court Reporter in Louisiana, the laws that govern certification and duties of court reporters, requirements that pertain to all Louisiana Certified Court Reporters and Certified Digital Reporters and the Board and its activities. We urge every CCR, CDR and court reporting student to study the content herein. Must Bring all of your own equipment to exam. The current 2 year c. e. cycle is January 1, 2019 thru December 31, 2020. All c. e. credits are due by December 31, 2020. You should review the main page of the website for all pre-approved seminars. Both the LCRA and the VRLA (court reporter associations in Louisiana) seminars will turn in the State punch cards provided by the LA CSR BOARD for you. All other seminars will require you to turn in your original proof of attendance. Your original proof of attendance should be turned into the LA CSR BOARD office within 30 days after you receive it. You are required to obtain a minimum of 12 c. e. credits with 4 of those credits mandatorily due in Louisiana Court Reporting Ethics and Board Rules and Regulations. Notice is hereby given that the Louisiana Board of Examiners of Certified Shorthand Reporters proposes to adopt additions/changes made to the Code of Ethics and Court Reporting Procedures Rule. Job announcements are posted for 30 days, for additional time please contact the Board Office. Court Reporter for the Louisiana Workforce Commission, Office of Workers’ Compensation, District One East, Monroe, Louisiana. Interested parties shall forward a cover letter and resume’ to Judge Brenza Irving Jones, 1401 Hudson Lane, Suite 301, Monroe, LA 71201. Additional information may be obtained by calling telephone number (318) 362-3078. 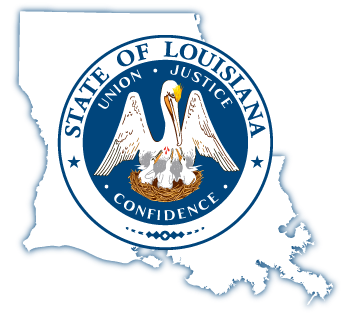 Court Reporter for the Louisiana Workforce Commission Office of Workers’ Compensation District 9, Houma, LA. All interested parties shall forward a cover letter and resumé to Judge Elizabeth Lanier, 8026 Main Street, Suite 404, Houma, LA 70360 or elanier@lwc.la.gov with caption, Court Reporter Application. Additional information may be obtained by calling (985) 857-3775. LCRA: Will be held Saturday, April 6, 2019 at the Copeland Tower & Suites Conference Center, 2601 Severn Avenue, Metairie, Louisiana 70002. Register online at www.lcraboard.org or contact: Peter Gilberti by email at lcraboard@lcraboard.org or by phone at (504) 458-2791. LCCCA: Will be held June 3-5, 2019 at the Pelican Beach Resort & Conference Center, 1002 Highway 98 East, Destin, FL. Please contact Sherry Philips by email sphillips@citycourtofslidell.com or by phone at (985) 643-1274. Louisiana 28th Annual Nuts & Bolts Judicial Seminar will be held June 2-7, 2019 at the Embassy Suites Hotel Destin, 570 Scenic Gulf Drive, Destin, Florida 32551 Register online at www.LaNutsAndBolts.com or contact: Billie C. Tripp by email at cctripp@eatel.net or by phone at (225) 644-0619. LCRA: Will be held Saturday, September 21, 2019 at the Paragon Hotel and Casino, 711 Paragon Pl, Marksville, LA 71351 Register online at www.lcraboard.org or contact: Peter Gilberti by email at lcraboard@lcraboard.org or by phone at (504) 458-2791. Disclaimer: This information is compiled and made available as a public service by the Louisiana Board of Examiners of Certified Shorthand Reporters. Although reasonable efforts have been made to ensure that information on the Louisiana Board of Examiners of Certified Shorthand Reporters website is complete, accurate and timely, the Louisiana Board of Examiners of Certified Shorthand Reporters and the State of Louisiana make no warranty as to the accuracy, reliability, timeliness, or completeness of the information contained within this site. Furthermore, we are not responsible for any errors, omissions, or interruption in the transmission thereof to the site visitor, or for any claim of loss arising therefrom, or occasioned thereby. The information provided does not necessarily represent the official position or views of the Board, or the State of Louisiana. The Louisiana Board of Examiners of Certified Shorthand Reporters assumes no responsibility for the use of the information provided. External links to other sites are intended to be informational and do not have the endorsement of the Louisiana Board of Examiners of Certified Shorthand Reporters. The Board is not responsible for the privacy practices or the content of any linked websites.